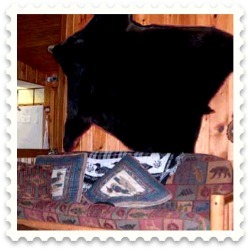 Bears Den is our most luxurious cabin. 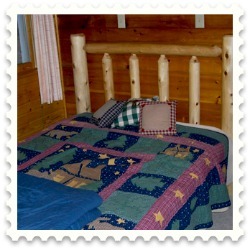 Overlooking the entire resort, the cabin sleeps six, with amenities such as gas log fireplace and air-conditioning. Pine Haven sleeps six, and has two separate bedrooms. 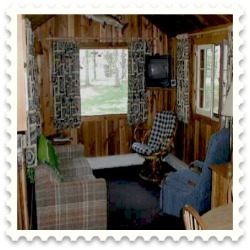 The screened in porch is the perfect gathering spot after a day on the lake. * Includes pots, pans, dishes, utensils, etc. 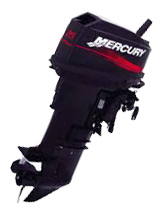 Need a motor for your boat? Contact us to reserve one. 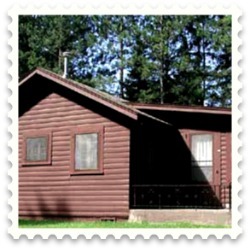 Honeymoon Cabin is the ideal destination for the vacationing couple. 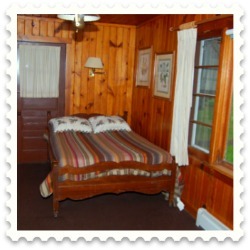 Cedar walls and wood floors attribute to the cabin's comfortable feel. Black Hawk is centrally located in the resort and features a spacious kitchen/living area. Two adjacent bedrooms provide sleeping arrangements for up to six guests. Pine Cone sleeps up to eight guests and has a wonderful upstairs loft that is perfect for the kids.